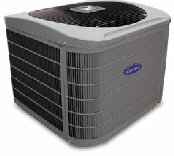 Your highly engineered Carrier system is the sophisticated way to keep your home healthy and comfortable. Whether you live in a cool or hot climate, have an existing system or are building new construction, we're the experts to help you tailor the right synergy of heating and cooling products–giving your home ultimate comfort all year long. Since the beginning in 1932, Broan has pioneered many of the product innovations now established as standards of the industry. Today, Broan carries on the commitment to provide the finest products in the industry. Please explore this link for details on some of the latest product introductions, from the leader in the industry. 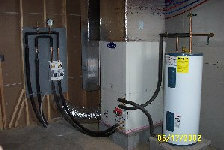 According to the U.S. Environmental Protection Agency(EPA) geothermal systems are, “the most energy efficient, environmentally clean, and cost-effective space conditioning systems available today.” Extremely high levels of efficiency are possible because a geothermal heat pump only uses electricity to move heat, not produce it.